Don Auriello and Tinne Vilhelmson-Silfven. Photos © SusanJStickle.com. 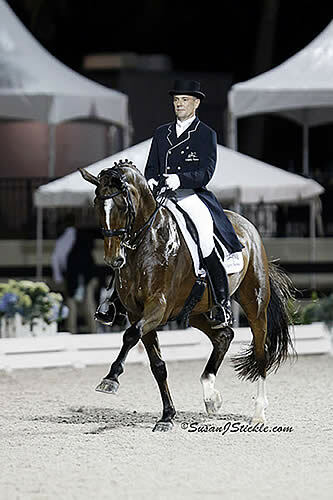 Wellington, FL – January 10, 2014 – The Adequan Global Dressage Festival kicked off the “Friday Night Stars” series with an exciting FEI Grand Prix Freestyle competition and full spectator stands at The Stadium at Palm Beach International Equestrian Center. Leading the way was Tinne Vilhelmson-Silfven (SWE) on Don Auriello, who won with a score of 81.575%. Lars Petersen (DEN) and Mariett scored 76.925% for second place. Fellow Dane Mikala Munter Gundersen and My Lady placed third with a score of 74.825%. 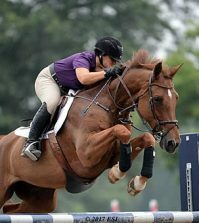 The first week of the AGDF, sponsored by MTICA Farm and Everglades Dressage, runs through Sunday, January 12. 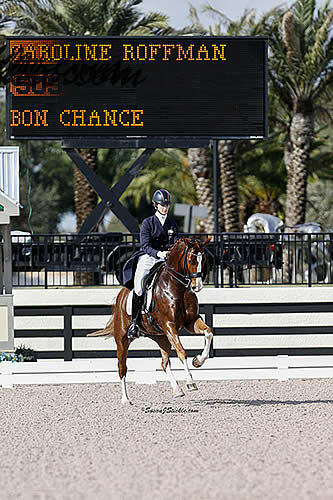 The AGDF continues for 11 more weeks of top dressage competition through March 30. Gundersen commented on the great turnout for the event. “I know there were a lot of people. I was very happy to see that because it’s the beginning of the season. 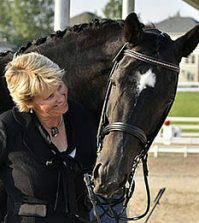 I’m happy we have so many spectators for a dressage show,” she said. It was a win on home turf for Caroline Roffman (USA) and Bon Chance today during the FEI Prix St. Georges. Fellow U.S. rider Heather Mason and Zar followed in second place with a score of 69.711%, and Spanish rider Juan Matute Jr. with Don Diego Ymas rounded out the top three at 68.9974%. Bon Chance, imported from Germany, was broke by Roffman herself. 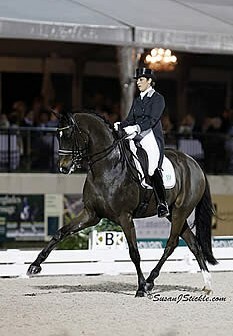 With her, he competed in the four, five and six year old US championships, with great success. “He was reserve four year old champion, five year old champion, tied for six year old champion. So yeah, he has had a pretty successful career!” she said with a smile. The gelding also offers somewhat of a challenge to Roffman. “He is a little bit of a handful, so you have to take it all in stride. 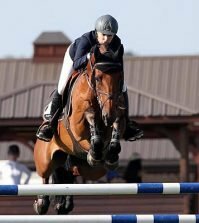 It’s his first CDI ever, it’s his first international Intermediaire I, and I hope this year he continues to develop and get confident in the ring,” she said. 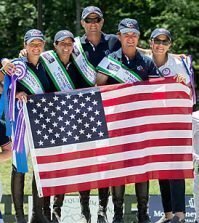 AGDF 1 Dressage CDI-W continues Saturday with the FEI Intermediaire I presented by Everglades Dressage and FEI Grand Prix Special presented by MTICA Farm. For full results and more information, please visit www.globaldressagefestival.com.